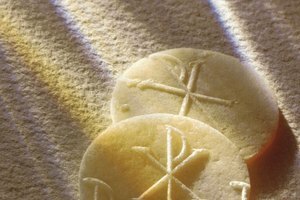 Do Methodist Churches Have First Communion? Traditionally, children wear white for their first communion. Unlike some Christian denominations, the Methodist Church does not require an official first communion ceremony for its young congregants. While the Catholic Church and some branches of the Protestant faith designate a specific age when communion can be received, Methodists believe that the holy table should be open to everyone. Individual congregations and the parents determine when each child is ready to receive the sacrament for the first time. 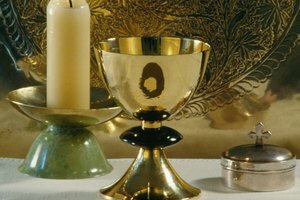 The United Methodist Church's official policy on communion is that it should be available to anyone who wishes to receive it. Though they encourage individuals wishing to partake in communion to be baptized beforehand, they do not deny it to anyone who "intends to lead a Christian life." Communion is offered to congregants regardless of age or membership status in the church. The age at which a child is permitted to take communion for the first time in the Methodist Church is largely determined by the child's parents. The United Methodist Church states: "Do they understand the full meaning of this holy sacrament? No, and neither do any of us. It is a wonderful mystery, and children can sense wonder and mystery." Although there is no official "first communion" for children in the Methodist Church, each individual congregation and pastor may decide to provide some instruction and context for the sacrament. This may be done through small classes or by one-on-one conversation with each child preparing to receive communion for the first time. Landis, Lindsey. "Do Methodist Churches Have First Communion?" Synonym, https://classroom.synonym.com/do-methodist-churches-have-first-communion-12087696.html. 29 September 2017.